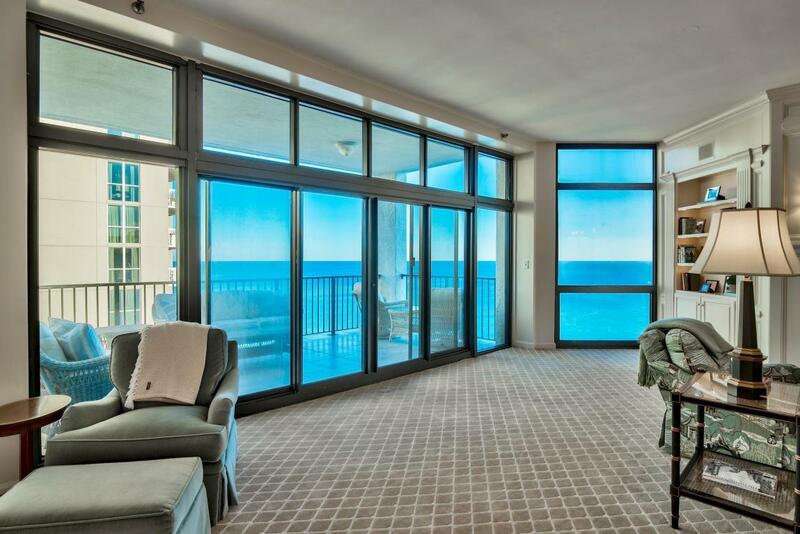 This is your opportunity to live in an exclusive, non-rental, beach front tower right in the heart of Destin! You simply have to see this stunning PENTHOUSE unit to appreciate the amazing details. Over a million dollars of renovations have created a one-of-kind home overlooking the emerald waters of the Gulf of Mexico. Every detail is exquisite, from the marble countertops and tile to the built-in bookcases, fireplace, decorative trim, 10 ft. ceilings and floor-to-ceiling window walls maximizing the views. Surround yourself with awe inspiring Gulf views and unmatched elegance. This is 3,800 square feet of true luxury living. This property has been fully renovated from the walls in starting in 2007 and again in 2017 complete with new HVAC systems, decor & finishes. Sure to impress!